StickLAP (patent pending) is designed to give you a genuine shiplap experience with zero compromises. 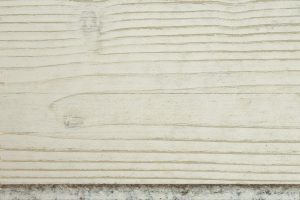 Unlike other peel-and-stick wood with basic flat edges, our StickLAP comes with a real shiplap profile, allowing you to space the boards with a slight gap (we recommend 1/8″), and preventing the wall underneath from showing through. Each box contains approximately 8 square feet of material (slightly less if you choose to install it without a shiplap gap). Every box contains a mixture of 3-foot, 2-foot, and 1-foot boards, allowing you to install the wood with minimal extra cutting. 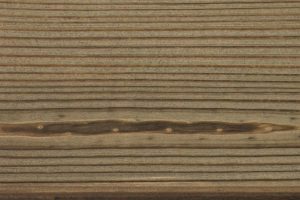 The net face of every board is just over 3″ wide, with an additional 1/4″ on the shiplap edge. Ensure your surface is clean and free of any loose material or debris. Make sure the surface is completely dry before installation begins. Use a level or measure and draw (or snap a chalk line) at the baseboard of the wall to create a level starter line to work from. Remove the blue backing, avoiding getting the exposed adhesive wet or dirty. Line the lower tongue-side edge of the board with your level line. Press the board against the wall, applying firm even pressure to the adhesive edge for approximately 30 seconds. This allows the adhesive to activate and ‘soak in’ to the surface. It will reach its full bond in 72 hours. Repeat this process along the entire length of the starter row, then start the next row. You can either place the boards right against each other (board-to-board), or you can leave a small 1/8-inch gap to create shiplap. Share your project pics on Instagram and Facebook with #sticklap! What widths do you offer? The net face of every board of StickLAP is just over 3” wide, with an additional ¼” of width in the shiplap profile. Every retail box of StickLAP comes with a mixture of 3’, 2’, and 1’ long pieces. Custom orders (via hewnelements.com and hewncommercial.com) are sold at random lengths up to 12’, and only ship LTL. How will I know how much to order? You can use the square foot calculator on our StickLAP product pages to calculate how many boxes you’ll need to cover your space! 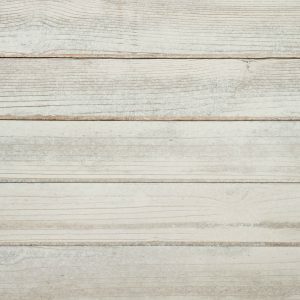 Is StickLAP available without a shiplap profile? 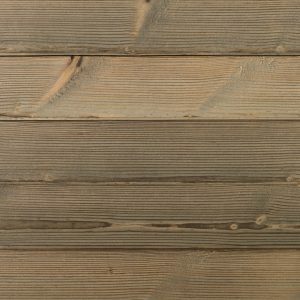 We do not currently offer any peel-and-stick products without a shiplap profile. 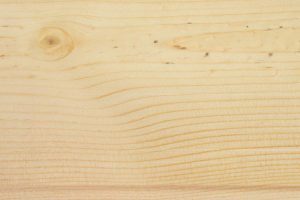 You can find non-shiplap wood boards in our standard collections. Does it have to be installed tight or can it be adjusted for a gap? We prefer our StickLAP with a gap, but it is ultimately your choice! To install with a gap, just use a spacer of your choice when applying the material to the wall. Do I have to paint my wall first? Nope! Because of the shiplap profile, StickLAP can be installed directly to the wall without any worry of the underlying surface showing through! What is the surface prep? Please make sure your surface is clean of any dust or debris prior to installing. We also recommend installing in a dry environment, and allowing the adhesive proper time to set and achieve full permanence. Can I mix and match colors in my box? No. All retail boxes of StickLAP include only the color selected on the order page. However, you are welcome to order boxes of multiple colors to mix and match on your wall! Can StickLAP be installed on a textured walls, high gloss walls, or ceilings? Yes, StickLAP uses an industrial strength adhesive and only needs minimal contact to hold. If your surface has a heavy texture, you should test a small piece (sample) to be sure that there is enough contact. Do we offered a sealed option for damp and wet environments? Sealed options are available for larger custom or commercial orders. We currently do not offer sealed finishes in Quickship boxes. Can StickLAP be installed next to a fireplace or heat source? Yes, StickLAP can be installed next to heat sources as long as such an installation meets building codes for your area. StickLAP is made of real wood, and thus is a flammable product. StickLAP is designed for permanent installation. While it can be pulled off of a wall, it may damage the underlying drywall paper. Please take this into consideration prior to installation. Can it be cleaned? If so, what cleaning products do you recommend? StickLAP can be cleaned with a damp cloth or brush if needed. What is the return policy for StickLAP? We accept returns of unopened boxes of StickLAP. This allows our customers to order extra material for a project without worry. The customer is responsible for shipping the unopened product back to our Oregon workshop. A full refund (sans shipping costs) will be issued upon receipt. Does StickLAP have a warranty? StickLAP has a money-back guarantee for factory defects not typically found in hand-finished wood products. Please inspect all StickLAP boards prior to installation. Due to the permanent nature of this product, any replacements for manufacturer defects must be requested and processed before the material is on your wall. Is an edge trim available? Yes, we offer edge and trim pieces specifically designed for our StickLAP product. Please refer to our product pages for more information and purchasing options. How do you cut StickLAP? StickLAP can be easily cut using a standard hand saw. Please see our installation instructions for information. Most orders purchased through our website ship via UPS Ground shipping. For larger quantity orders or large-scale custom orders, we reserve the right to ship via LTL Freight. Can StickLAP be used on a door or cabinet face? Yes. We recommend utilizing our trim pieces for the best possible outcome. Can StickLAP be stapled or nailed? Yes, StickLAP can be nailed to a surface. This is a great way to achieve a temporary installation where the adhesive tape can be unused and saved for later installation, or if the surface you are applying StickLAP to has areas where the adhesive tape would not be able to achieve full contact. Is StickLAP made from reclaimed wood? No. StickLAP is made from sustainably-sourced pine, which is processed using our proprietary methods to create a realistic and unique aged finished. Do we offer custom finishes for larger orders? If so, what is the minimum order? Yes! For high-volume or commercial inquiries, please call us through our Contractor Pricing line at (503) 612-0241 to request a quote. We typically expect custom orders to start at over 500ft2. 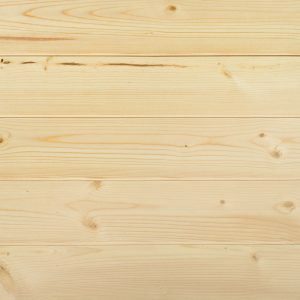 StickLAP is currently only offered in pine, though other species of wood are offered in custom orders via hewnelements.com and hewncommercial.com. Do you offer any discounts for high-volume or commercial requests? Yes! For high-volume or commercial inquiries, please call us through our Contractor Pricing line at (503) 612-0241 to request a quote.